The clip show is something of a lost art, although calling it an art is giving it way too much credit. Really it was a money-saving device through which TV producers squeezed out an extra episode by having the cast of a show accidentally lock themselves in the basement and kill time reminiscing about past exploits, which would then play out via extended clips from previous episodes. No one is going to sit still for that kind of nonsense in the binge-watching age (the last show I remember doing it was Survivor, and it’s been many years since they did it), so the clip show has fallen by the wayside, replaced by the bottle episode as the belt-tightening method of choice. 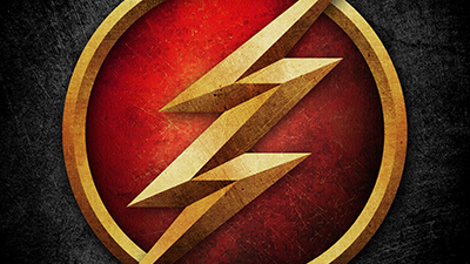 For its 100th episode, however, The Flash has given the clip show a high-tech makeover. “What’s Past Is Prologue” incorporates scenes from the past into its narrative, enhancing them with new footage as Barry and Nora once again do that thing they are never, ever supposed to do. And what is that? Correct, Huey Lewis! They go back in time. Back to several different times, in fact, in order to assemble a weapon that will help them defeat Cicada. Frankly, I’m fine with the show continuing to ignore its moratorium on time travel, because that’s always been part of the fun when it comes to the Flash. The plan Nora comes up with wouldn’t even disrupt the timeline much, assuming it went off without a hitch. That would never happen, though, so it’s best just to sit back and enjoy this little journey through the past. At first things go relatively smoothly, with Barry and Nora pulling a Back To The Future, Part II on Team Flash’s climactic confrontation with Savitar. 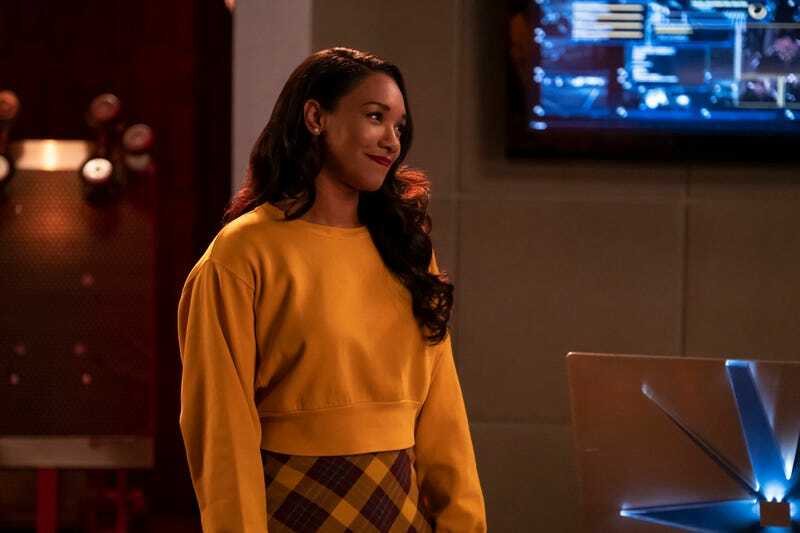 If you’re counting, that means there are a total of three Barry Allens in this scene, something that comes as a surprise to Nora, who apparently didn’t know the secret of Savitar (or that Iris killed him). At the next stop, however, Barry can’t help drawing the attention of a previous edition of Wells (our old pal Harry from Earth-2), as well as season two’s Big Bad, Zoom. The fact that earlier versions of Wells and Thawne-as-Wells show up in the episode (as well as the current Wells, Sherloque) is entirely appropriate, given that Tom Cavanagh directed. Truly the man wears many hats. Barry and Nora manage to escape from Zoom with the help of a Speed Wraith (I guess those things do come in handy once in a while), but end up in another time that already has a couple of Barrys in it, as well as Thawne in his Wells guise. I have a hard time parsing how this one didn’t severely disrupt the timeline, but the whole Thawne/Reverse-Flash chronology is so convoluted at this point (and incorporates episodes of Legends Of Tomorrow I haven’t seen), I’m not sure I can construct a coherent case. I just feel like if I was a supervillain who kept getting visited by future versions of my arch-enemy, I might start to think I wasn’t going to come out on top after all. The final stop is—and could only be—the night of the particle accelerator explosion. This is the genesis of the entire series, so how could you celebrate 100 episodes without it? We’ve revisited this moment several times before, but it’s exhilarating to see it all come together here: Ronnie and Prof. Stein being fused into Firestorm, Barry getting struck by lightning, DeVoe’s thinking cap zapped with dark matter, and so on. I’ll be the first to say that not all 100 episodes are great or even good (hell, I’ve reviewed almost all of them), but “What’s Past Is Prologue” does a great job of summing up the epic mythology of these four and a half seasons. Alas, the climax of the episode also reminds us of one of the series’ tragic flaws. Yes, it’s time for me to get on my soapbox again and advocate for the eight-episode mini-arc rather than the full season Big Bad. After all, why couldn’t this have been the finale of the Cicada story? We’ve gotten his tragic tale, we know the threat he poses, and here Team Flash had him on the ropes with the transmitter whatzis. Perhaps Cisco could have vibed the dagger to another universe entirely? That would have been better than sending it to space, as it turns out Cicada is able to recall it and the saga continues. Another reason to shorten the Big Bad storyline is that we already have another season-long arc that takes a turn this week. Nora has invented a time language by which she keeps track of events regardless of changes to the timeline. And it turns out she has some sort of partnership with a prisoner in the year 2049. Was there any doubt that it would turn out to be a version of Wells or Thawne-as-Wells? By the time this series ends, there may be 100 of them. The kicker this week is a prologue for the “Elseworlds” crossover set on Earth-90. It’s an appropriately numbered Earth, since John Wesley Shipp is there, dressed in the Flash outfit from the 1990 iteration of the show. He’s surrounded by fallen heroes of that world, and taunted by the “Elseworlds” villain, the Monitor. Although I didn’t see it, I believe this same scene appeared at the end of the most recent Supergirl. See, this really was a clip show! Anyway, “Elseworlds” looks pretty cool. Nora traveling back to get a look at her grandparents was a sweet moment, as was Barry showing up to enjoy it with her and then race her back to the present. The classic Flash ring with compressed suit inside is finally perfected. But won’t anyone ask Barry why he’s wearing a Flash symbol ring? It was good to see Joe up and around, even if it was only a clip from the past.